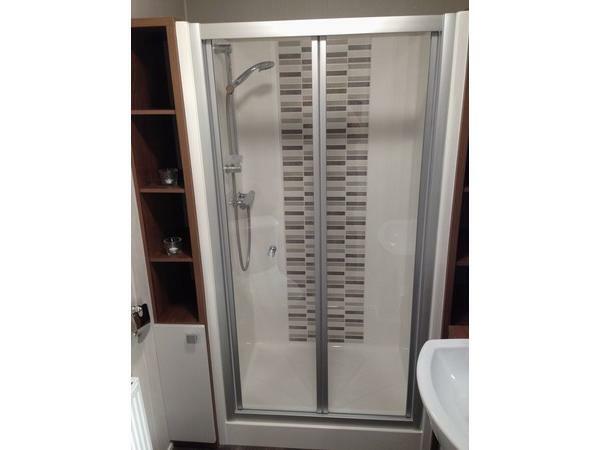 10% deposit and full payment 28 days prior to arrival. 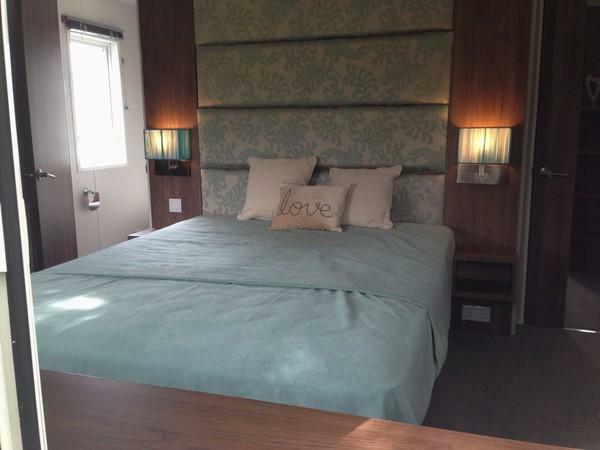 A £100 refundable deposit will be required. This will be returned following inspection of the caravan after your departure. 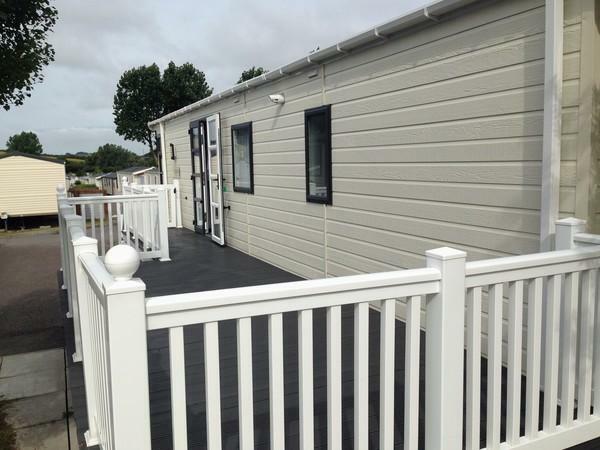 Lovely 2015 4 Berth 39ft x 12.5ft caravan to rent at the 5 Star Waterside Holiday Park in Weymouth. 42” TV and DVD Player and 32" TV in master bedroom. 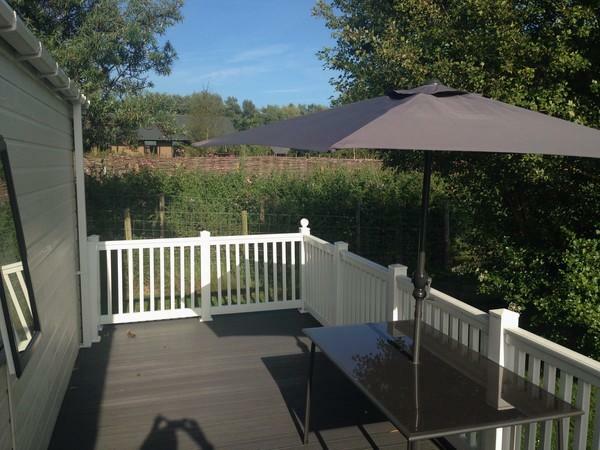 Large Decking Area with table and chairs. Bed Linen provided. Parking for 2 cars. South facing so gets the sun all day. In a quiet part of the park with bus stop 100 yards away. We booked this caravan as a last minute stay and the owner was very helpful. 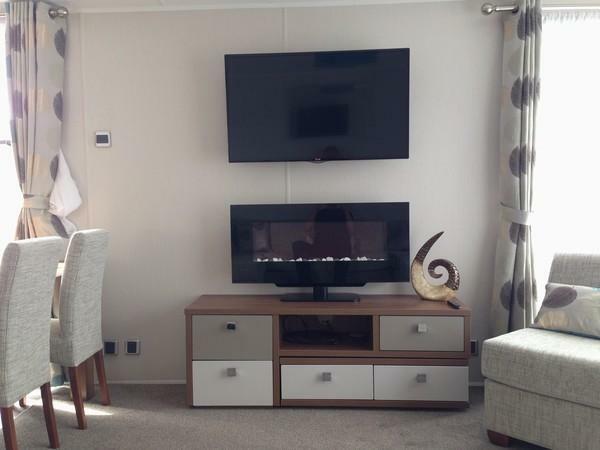 The caravan was presented in an immaculate condition and is very modern, clean and comfortable. (And two tv's, brilliant!!) The location on the site is very quiet with no passing site traffic etc. The site is also very well kept too, no complaints whatsoever. 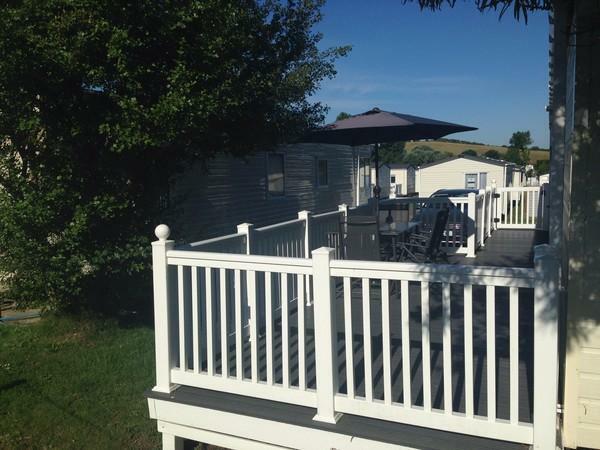 We had a wonderful stay and will not hesitate in using this caravan again. Thank you Daniel. Hi Julie, thank you so much for your kind review. I'm please your family enjoyed the time at our caravan. Hope to see you back next year. Absolutely fantastic, already booked for next year. 75 year old, who has had many vans over the years, this was the best yet! Fantastic caravan ! Very nice quiet bit of park and sun all day on veranda. Bus stops just outside really so handy for ten min trip to Weymouth. Cannot fault one bit. Good owners too with good communication. Park itself is spotless and all staff are freindly and professional. 5 star caravan on 5 star park. 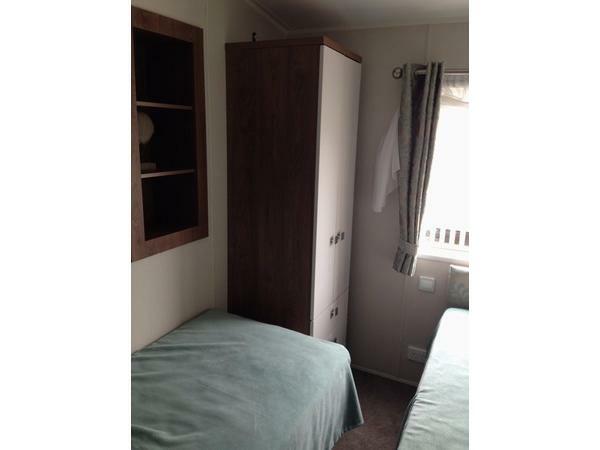 I booked this caravan for my elderly parents (one of whom is very immobile), so had to take a number of things into consideration when booking. Straight away prior to booking the communication was fab answering any queries I had - even checking via an email mid holiday that they were enjoying themselves. The van was ideal in every way. It was roomy, modern, clean and so very peaceful - set at the back of the site - mum loved sitting on the veranda reading her book. They don't drive anymore so having the bus stop literally around the corner was amazing. It meant they could jump on and go to Bowleaze Cove and Weymouth with such ease. Highly recommend & want to return next year. Very good, very pleasant few days, well managed site with helpful staff. Many thanks for the review John. Glad you enjoyed your stay and hope to welcome you back again in the future. 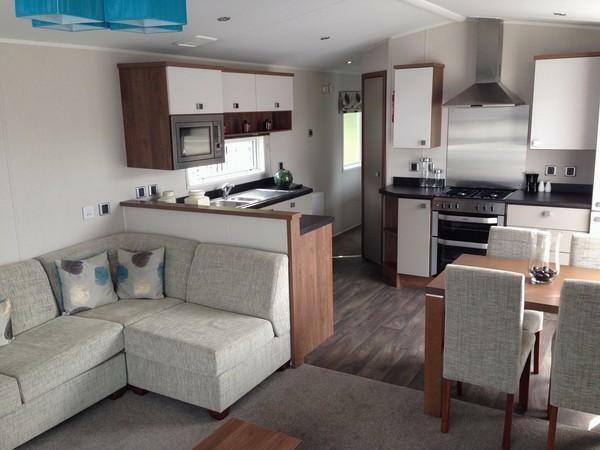 Having stayed @ waterside previously in a couple of different caravans, green 106 was by far the best. So much so the same weekend we arrived home, we have rebooked for next year already .. 5 stars for the site and 5 stars for the caravan itself. The position of the caravan is perfect and everything is immaculate. We can't wait to go back again. If your searching through all the caravans and can't decide which one to go with, look no further because this caravan is one of the best.it is extremely clean and very modern with everything you could need.our two girls loved it, it's situated in the best part of the park with only a 5min walk to the amenities.the owners are great and keep you informed from the initial booking up to your departure.if we decide to holiday in the south again we will definitely be staying here.thanks again. 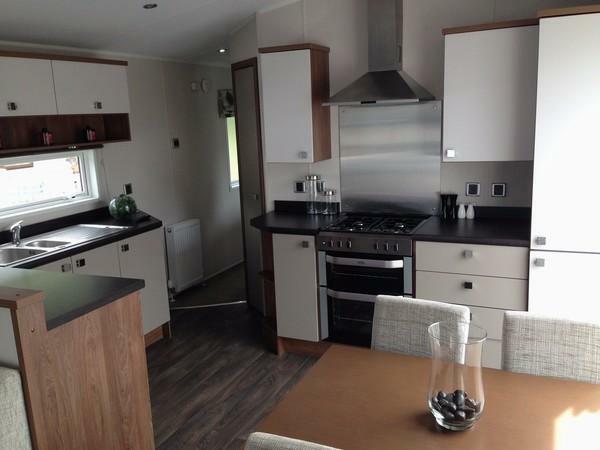 Our stay at this caravan was lovely, the caravan itself was very clean, modern and had all you needed. Couldnt fault it. The beds were the most comfortable we have stayed in...will be coming back.